These massive Chalkidiki Olives are one of our most popular olives. They are pitted and then freshly marinated with herbs and lemon juice. 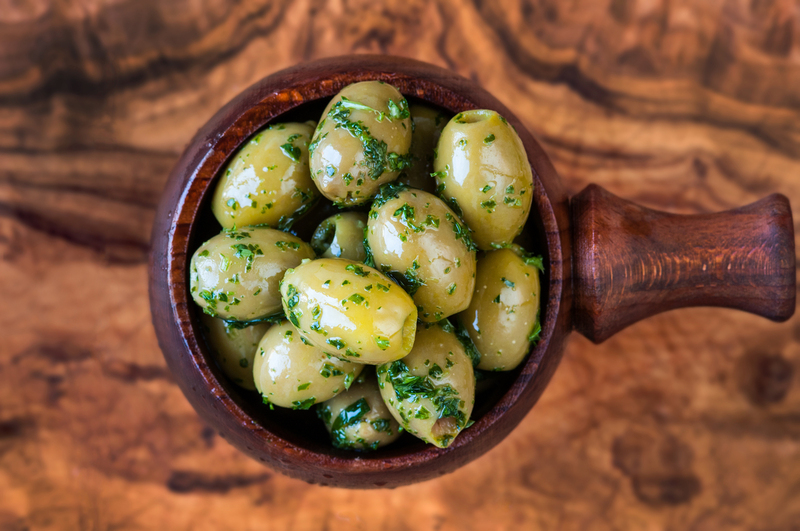 The perfect olive for a party or that one staple you need in the fridge. Tarragon (1%), Garlic (1%), Rapeseed Oil. (Warning: Some olives may contain stones). Super Mammoth Olives with Harissa with a touch of rapeseed oil.